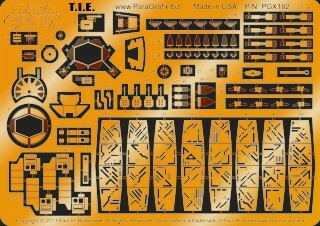 Add super-detailed photoetched parts to the 1/48 scale TIE Fighter model kit from Fine Molds. Super detailed cockpit suitable for lighting*, including wall covers. Updated external details to bring this iconic fighter to life. Original design by Rob Holts of Acreation Models.